In 1975 Wally Tielens and his two sons, Bruce and Randy had a simple vision for a family business called Wisconsin Express Lines that quickly grew into an industry leading refrigerated trucking business. What began as a two-truck business soon blossomed into more than 150 trucks and trailers providing nationwide service to some of the largest companies in the food, beverage, and dairy industries. In 1988 Bruce and Randy purchased the business from their father and soon thereafter they changed the company name to WEL. 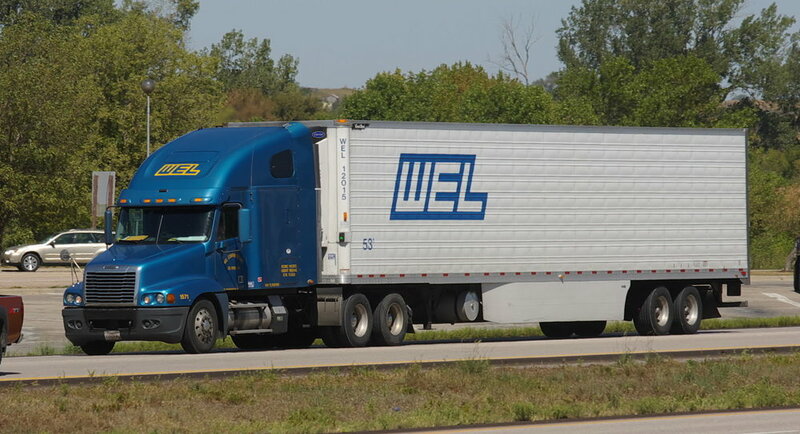 In addition to the name change, WEL added warehousing services to their portfolio to more closely reflect their migration to logistics services. The things that did not change are the dedication to family tradition and core values in stability, trustworthiness, character, and the commitment to work quickly and professionally with every single customer. Sadly, Wally passed away in 2005 and Randy in 2013 but their spirit drives our reputation for customer service and driver respect. We’re uncompromising in upholding that legacy across every interaction. We all know that change is a constant in today’s business world and at WEL we are excited to embrace change that helps move us forward such as Bruce’s son Chris being named President in 2014. Chris has been an integral part of WEL for many years and brings his own unique vision for moving WEL forward. Our many great employee’s and adherence to core values have allowed WEL to grow from its humble roots to more than $135,000,000 in transportation and warehousing revenue in 2012. Website - WEL Companies, Inc.